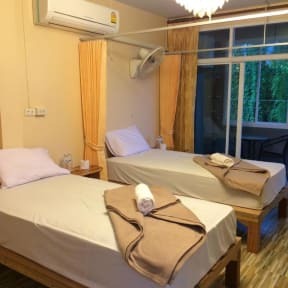 Khao Sok Hostel i Khao Sok, Thailand: Reservér nu! Khao Sok Hostel also provides a refrigerator, microwave, toaster, kettle, dishes and cutlery for you to prepare a simple meal. The staff are happy to provide information about Khao Sok, help you book your tours, onward transfers and change money. 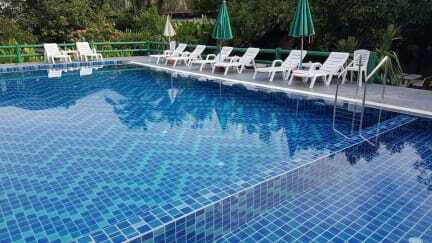 The nearest airport is Surat Thani Airport, 104 kilometers from Khao Sok Hostel. 4. Payment upon arrival by cash and Card. 3% service charged if you pay by card.